Dr. 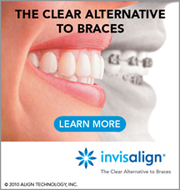 Angle strives to provide you with excellent orthodontic care in a friendly environment that is affordable too! We offer a variety of payment options, such as interest-free financing which breaks down your payments over the course of treatment. Also, we offer some third party financing which have both interest-free and interest accruing options through companies such as Care Credit. For your convenience, we also accept checks, Visa, MasterCard, Discover, and American Express. We can set up automatic credit card payments for monthly payments so you don’t have to remember to send a monthly payment and it will also make your time at our front desk more efficient. We offer discounts for treatments paid in full by cash, check, or credit card at the start of treatment. Also, don’t forget to take advantage of your Health Savings Accounts/Flex Spending Accounts if you have them! If you have orthodontic insurance coverage, it may help in reducing your out-of-pocket expenses for orthodontic treatment. Most insurance companies have a lifetime orthodontic benefit that is separate from your regular dental insurance. If you have orthodontic coverage, please come prepared knowing your orthodontic benefits at your initial consultation so we can provide you with an accurate payment plan. We take the amount of insurance coverage off the total cost of the treatment needed and will arrange a payment plan for only your portion. We will also file your insurance claims promptly for you once your treatment has started. If for some reason, your insurance plan ends prior to paying the full benefit, then the remaining balance is then transferred to the responsible party. In order for us to process your insurance claims, please bring your insurance identification numbers (Social Security, Plan ID or Group Number) to your initial consultation as well as the name, address, and phone number of your insurance. We will also need the full name and date of birth for the insurance policy holder. Please remember that orthodontic insurance is a benefit for you or your child. However, over the course of treatment, your benefits can change or even be eliminated. The financially responsible party is ultimately responsible for all charges. Here is a list of SOME of the main insurances that we accept. If you do not see your insurance provider, please contact our office as there are numerous other insurance providers that we accept. The cost of treatment depends on the severity of the patient’s malocclusion. You will be able to discuss fees and payment options at your initial consultation with Dr. Angle. We have payment plans to suit different budgets. We work hard to make orthodontics affordable!